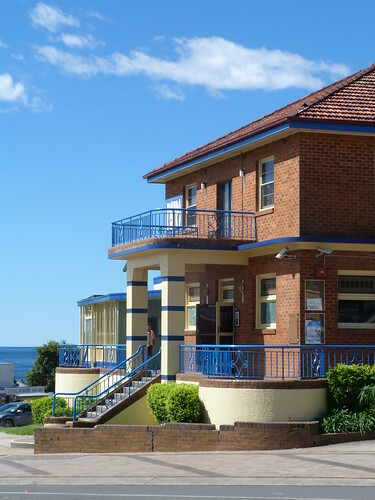 This pub, the Hotel Marlin on the New South Wales coast in Ulladulla was the first hotel built in NSW after the Second World War. 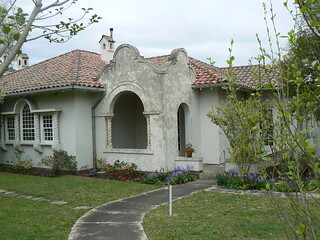 It was built in 1948 by Mr and Mrs A L Pitman. 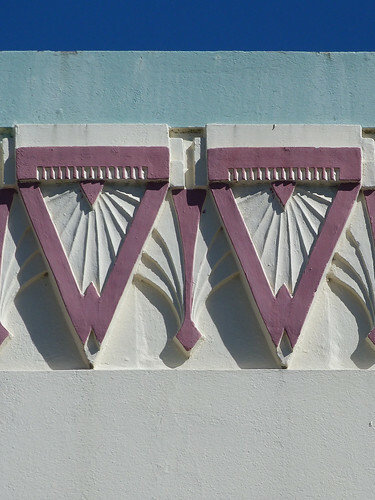 The hotel name is spelt out in Art Deco lettering and the square columns at the entrances have a certain style about them but otherwise it is a relatively plain red brick building. 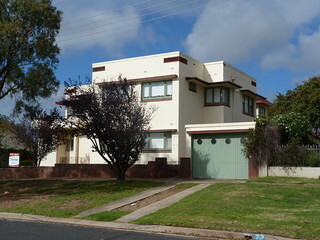 In fact it reminds me of some the military and industrial buildings built in Victoria & NSW as a result of the war. 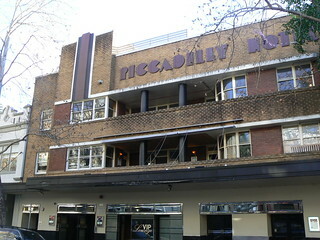 The Piccadilly Hotel in Victoria Street, Potts Point isn't looking its best in my pic from a few years ago but I wonder what the VIP Lounge is like inside. 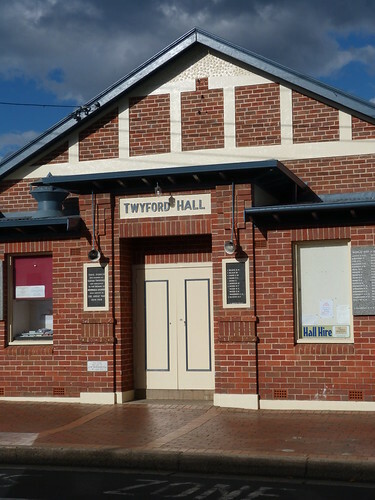 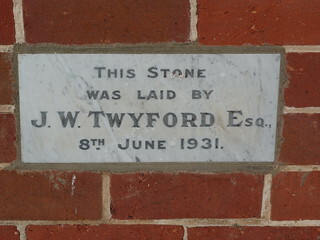 Twyford Hall in Market Street, Merimbula was built in the early 1930s. 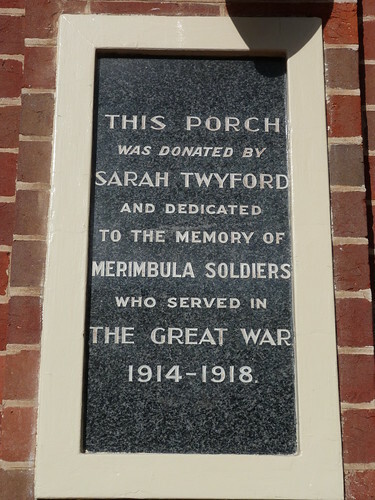 The foundation stone was laid by Joseph William Twyford Esq on 8 June 1931 and later a porch dedicated to the memory of of Merimbula Soldiers who served in the First World War was donated by Joseph's second wife, Sarah. 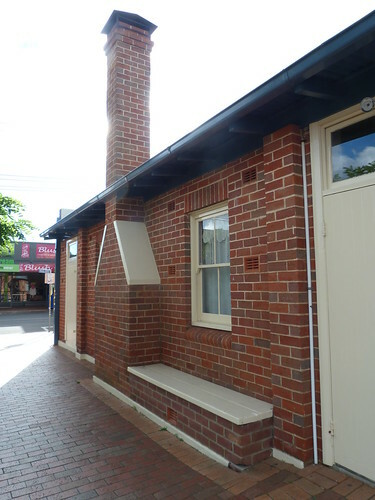 An unusual feature that I really like is an outside bench seat attached to the chimney. 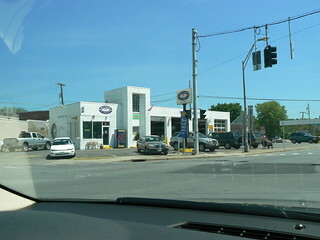 Joe's Garage in Albany, NY. 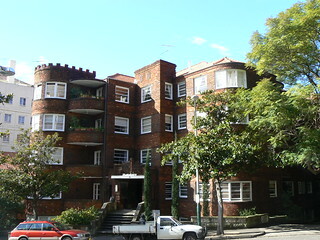 This is Chatsbury (1939), an eclectic block of flats at 6 Ithaca Road, Elizabeth Bay in Sydney. 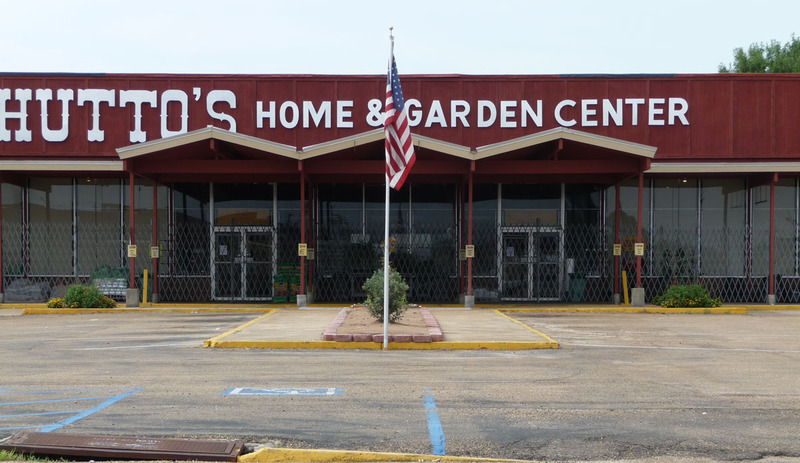 It really does have a bit of everything. 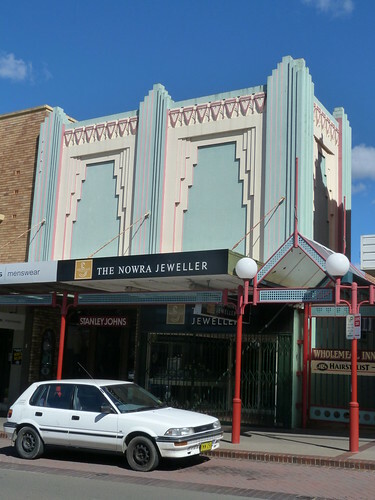 A partially castellated roofline, small semi-circular balconies, curved wings at each end and rectangular sections stepping back into the block allow the creation of a wonderful Art Deco entrance. 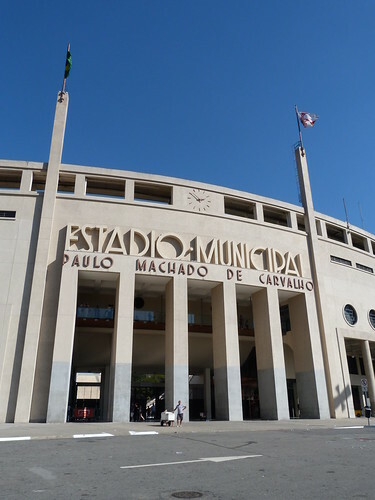 This is the Estádio do Pacaembu in São Paulo, officially the Estádio Municipal Paulo Machado de Carvalho but known locally as Pacaembu. 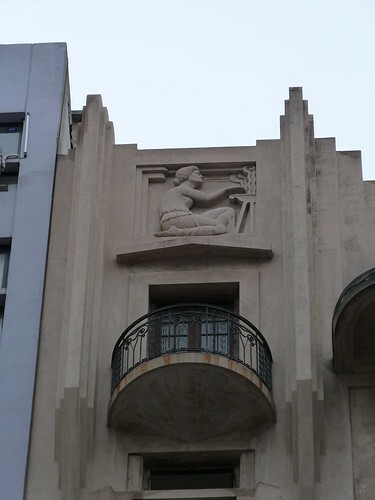 It was built between 1938 & 1940 and today hosts home games for Corinthians as well as Museu do Futebol telling the history of Brazilian football. 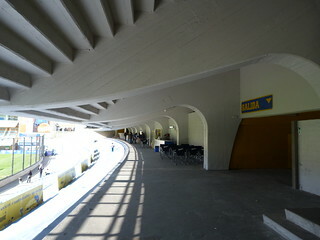 If you read yesterday's post about La Bombonera, Boca Junior's stadium, then these names should be familiar to you. 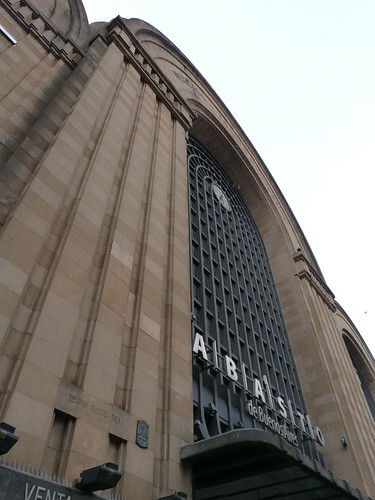 José Luis Delpini, Viktor Sulčič & Raúl Bes were the architectural team who designed that stadium and here we find there names, in Argentian tradition, inscribed on the wall of another of their large Buenos Aires projects, the former Abasto Market. 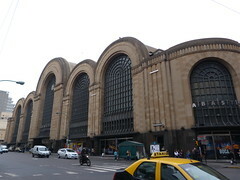 The original market opened in 1893 and this building was built between 1931 and 1934. 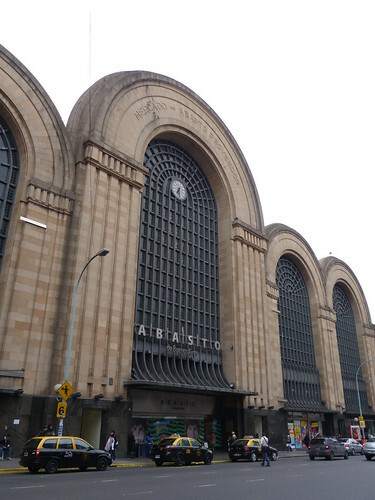 Today it is a modern shopping centre reopening as Abasto Shopping in 1999 after the old fruit & vegetable market had closed in 1984. 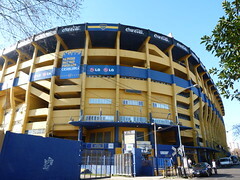 This is the home stadium of Boca Juniors, arguable the most famous football club in Argentina. 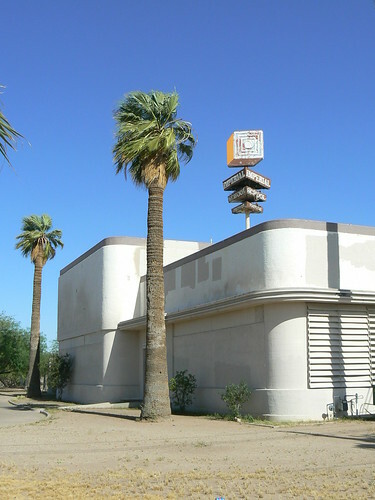 Officially it is called Estadio Alberto J. Armando after a former President of the club but is universally known as La Bombonera, The Chocolate Box, because of its unusual shape with one flat stand and tiered stands around the other three sides. 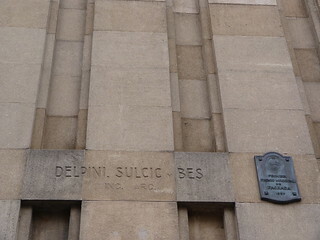 It was designed by architects Viktor Sulčič, José Luis Delpini and Raúl Bes with construction commencing in Feb 1938 and the first match being played in May 1940. 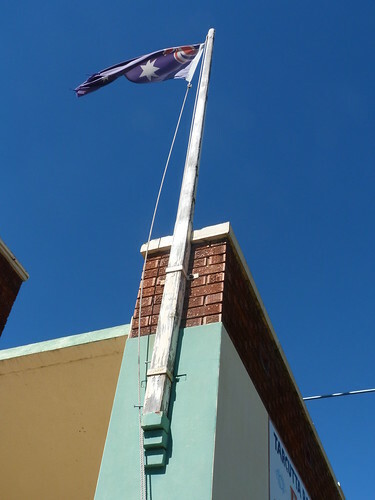 A third tier was added between 1949 and 1953. 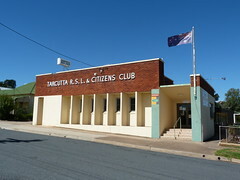 Major renovation were completed between 1995 and 1996. 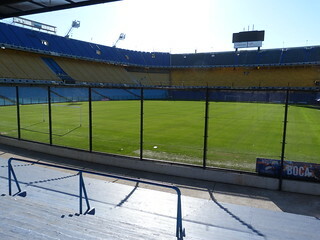 You'll notice the Coca Cola signs around the top of the stadium are in black & white ... well Boca's deadly rivals River Plate play in Red & White so there was no way they were going to allow those colours on their stadium. 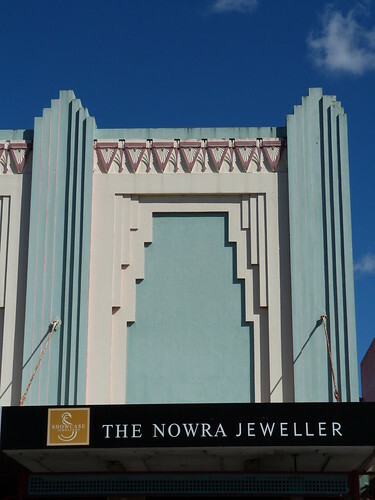 A lovely pair of Art Deco shops at 78 Junction Street, Nowra on the south coast of New South Wales. 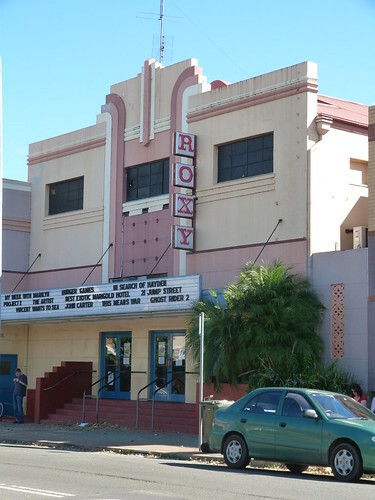 The Roxy Cinema was opened in 1938. 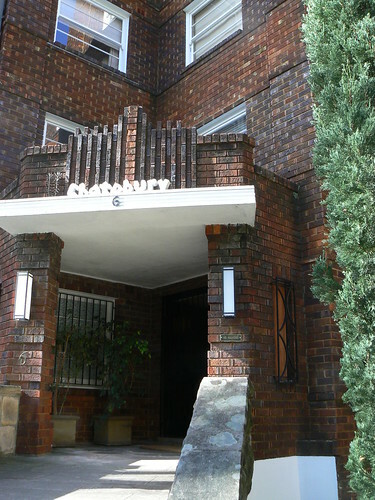 I love the porthole windows in the garage door of this block of flats in Goulburn. 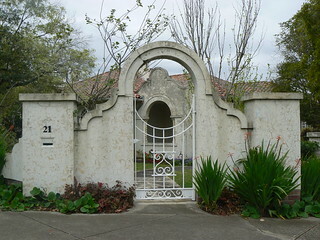 This Spanish Mission style house on Camberwell's Golf Links Estate has a wonderful gate. 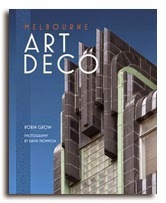 Architects during the Art Deco period often incorporated local flora and fauna into the decoration of the buildings. 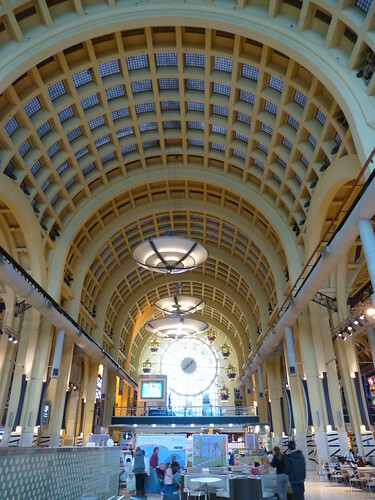 Here's a collection of beavers from Toronto, Ottawa & Montreal. 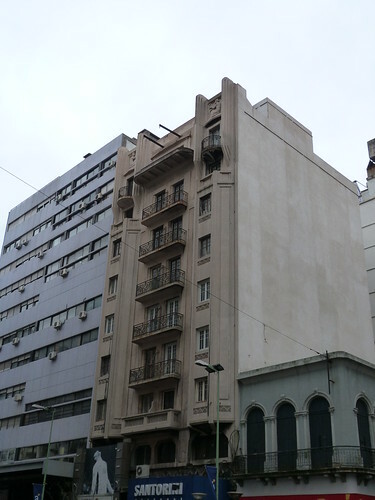 On Lavalle, a block off glitzy Avenida Corrientes, you'll find Edificio Argentino. 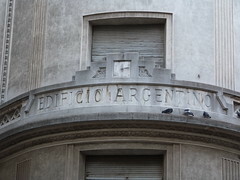 Its name spelt out on the corner of the building under a stylish clock. 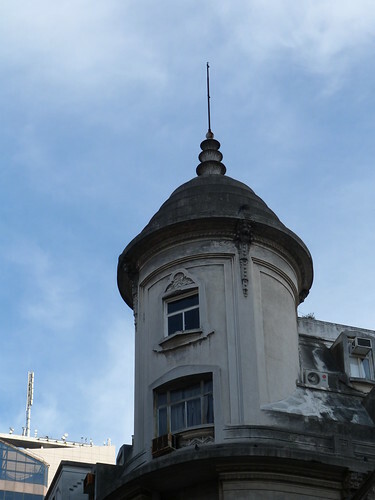 The round tower is topped with a stepped dome culminating in a simple flagpole. 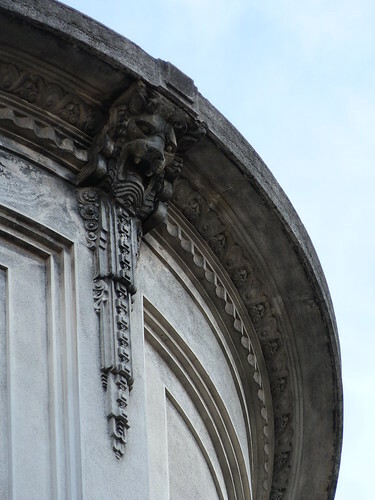 Lions heads sit at the quarter points under the lip of the dome. 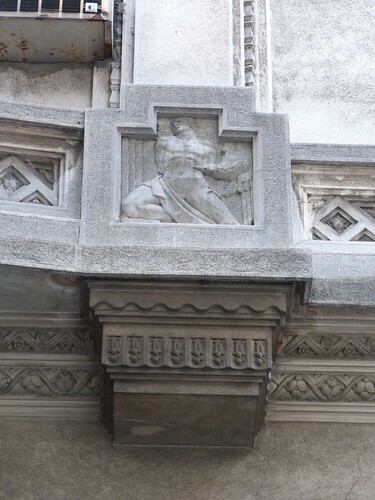 A number of other reliefs punctuate the decorative band below the second storey. 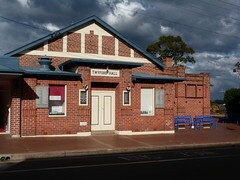 Tarcutta is halfway between Sydney and Melbourne. 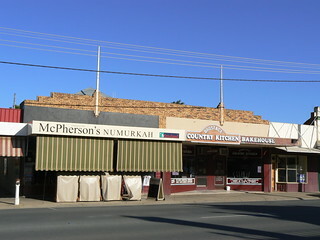 It used to be on the main road but now the Hume Highway by-passes the town. 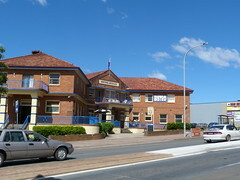 Since Tarcutta is worth a short detour to see the Australian Truck Drivers' Memorial, the Art Deco Horse & Jockey Hotel and the Modernist RSL & Citizens Club. 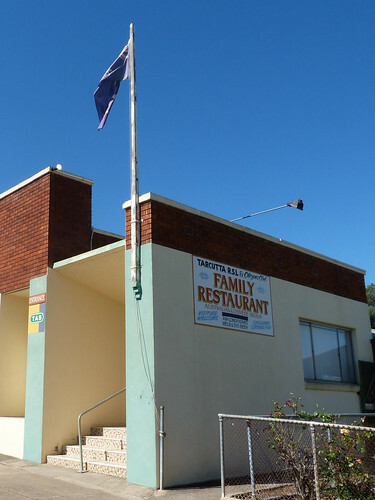 The club, as well as providing a bowling green, squash court and poker machines, also includes that wonderful quaint Australian tradition of a family restaurant serving Australian & Chinese meals. 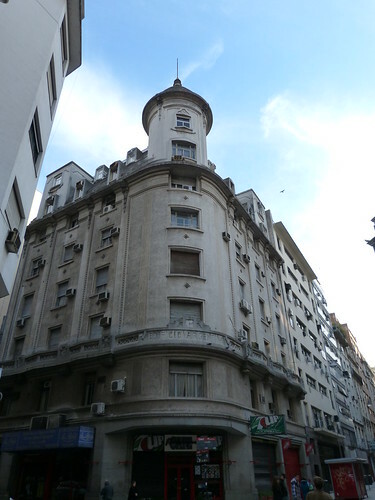 Avenida 18 de Julio in Montevideo is lined with shops at street level many with several floors of apartments above. 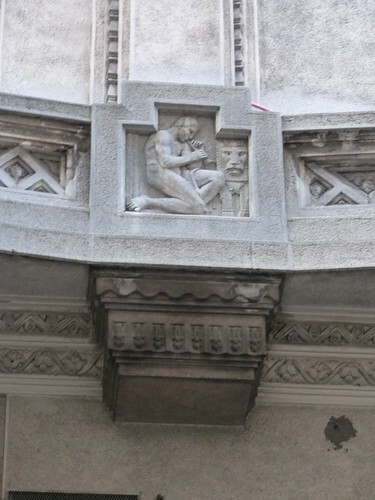 This is one such building. 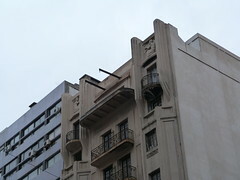 Metal railed balconies occupy the central section of the building but as is often the case the top floor reveals the best decoration. 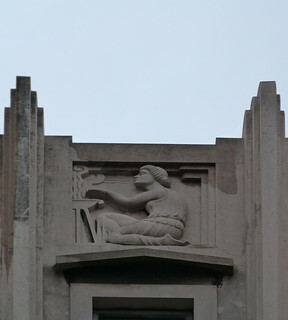 Here we have a pair of reliefs, mirror images, depicting a female figure tending a brazier.